The recent launch of Mega Man 11 has brought with it an excellent resurgence for the Blue Bomber, combining the series' much-loved classic gameplay with modern twists to keep things interesting. Despite this development success, though, the team working on the game behind the scenes was made up of just 40 people - a number that's surprisingly small by today's standards. Capcom's official website has published an interview with the producer of Mega Man 11, Kazuhiro Tsuchiya, talking about how the game came into being, Tsuchiya's personal career paths, and fan expectations for a new Mega Man game. In the interview, he mentions that the development team contained "around 40 people", noting how small this is compared to other modern teams which can often be in the hundreds. "There are certainly benefits to a larger development team, but with so many people it means that some are unable to affect development across the game as a whole. With around 30 people it feels like you've got just enough staff for the project. It's very clear what aspects of the game each person is in charge of, so they can be completely sure of their goals and keenly feel responsibility towards them. I feel like the development team was the perfect size for a project of this sort." Elsewhere, Tsuchiya talks about how his own research led to the creation of the game, with results finding that players wanted a "full-fledged entry in the original Mega Man series". I performed detailed research to find out what Mega Man fans were thinking, as well as what people who weren't fans but had heard of the series were thinking. The research showed us that the thing people wanted most was a new, full-fledged entry in the original Mega Man series, made with series fans in mind. This culminated in the development of Mega Man 11. The full interview has been translated into English, so feel free to check it out in full here if you're interested. Have you been enjoying Mega Man 11 on Switch? Let us know how you've been getting on with a comment. I haven’t beat it yet, but it’s a great game. I refuse to look up the order to beat the bosses. That’s half the reason I like mega man, to discover the weaknesses on my own. 2D platformers from studios like Wayforward and Yacht Club similarly succeed with a "not too many chefs" approach and small teams. 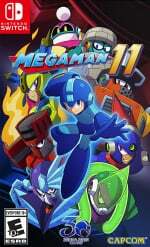 Is Naoki Maeda (Former DDR Sound Director from Konami) also involved in Megaman 11 for OST ? Historically, don't most of the Mega Man titles also have pretty small dev teams? Even the RPGs like the Battle Network series. That sounds like quite a lot for a fairly simple 2.5D platformer? I would've thought about 10 people. I mean... Yes, it's not much by today's AAA standards, but... 40 people is a freaking HUGE amount of people on a project like Mega Man 11. They have absolutely nothing to complain about with a team that large. That type of game normally has a small team of 5 people working on it, not freaking 40. It's nothing compared to the amount of work indie devs put in nowadays. @Blizzia Who was complaining about anything? He literally says in the interview that the team was the "perfect size". 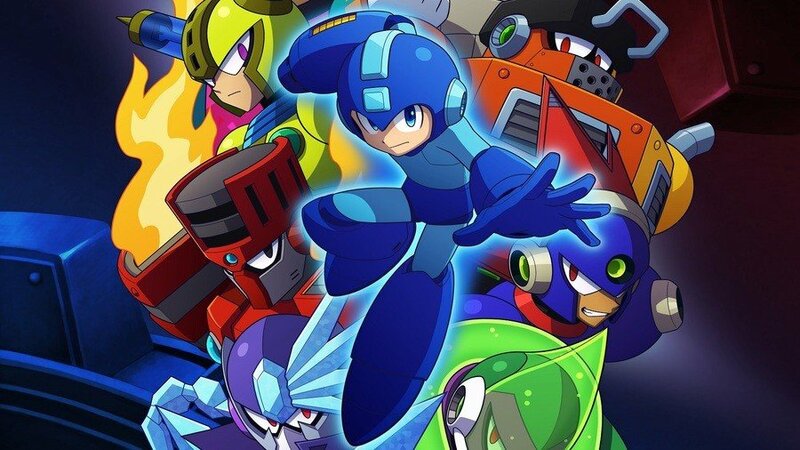 I have not player Mega-Man games but they look interesting. However I noticed something when I watched Mega-Man 11 being played on YouTube. Is the game as short as it seems? Like 12 levels or so? Is there replayability factor? I mean it is more like 4-5 hours of gameplay and that's it? I do not count hard mode as extra content. Are other mega-man games like that? I do not have enough reference or experience, but is 40 people considered a small team in this business? Especially when you sometimes see games that were developed by 1 single person. @Razieluigi Nobody said they were complaining - I said they had nothing to complain about. @Donutman Absolutely right! Only way to go. There is a distinction to be made here. Xenoblade 2 outsourced a lot of their character designs, models, and animation. It had a lot of nice guest artwork and designs for the assorted Blades. That meant the team could focus on a lot on the in-house stuff that's less asset oriented. Meanwhile all of the assets for Mega Man 11 would've been internal to some degree, except maybe voice acting? That's awesome. Better to keep the team small, lest we have too many visions clouding up a retro-style game unnecessarily. I've found this to be tougher than some recent ones, I actually have had to purchase lives and Energy tanks to make it through some levels. I still haven't had time to finish it, but I've gotten 4 bosses down and ready for the other half now. @Truxton_4_Life Let me get this straight, you gave yourself every advantage possible to make the game a cakewalk, and then complain about the game being a cakewalk...? Solid solid solid game - but for MM's big return I wish it didn't feel so drab or something. I wish the game had more color to it, more memorable/catchier music, better backgrounds, etc. I think this game would have really benefitted from a few more months in the oven. But there is more right than wrong in this game does and it's a good template to build off of. The boss weapons are soooo much fun to use. @Dang69 Backgrounds were fine to me but the music is forgettable. @Truxton_4_Life No, that's called challenging yourself. You can't go into a game, turn on every cheat, then complain about a game being too simple. That's not how it works. No one made you buy all the extra stuff, it's supposed to be for people who need the extra help. So... that's on you if you took something you didn't need. You ruined your own experience. Think of it this way. Let's say I made a Mario game, then gave you an optional item at the start of a level that instantly wins the game for you. Let's say you then decided on your own, to use this item. Would that mean I made the game too easy or could it be that you made the game too easy for yourself? Cool. I haven't a NS, but I will eventually play MM11. @Hordak I knew there was a reason. It's such a small detail but it drives me nuts! @Truxton_4_Life Or you could... just not use the shop. There is nothing making you buy items. YOU chose to buy those items. The game isn't built around using the shop, you can completely ignore it. Nor do you need to use the gear system. All of that is optional and you can ignore it too. You know what the game is built around? Jumping, and shooting. You can even go into the controls, swap your buttons for the gears so that you effectively turned them off. I don't think you are comprehending how much your statement conflicts with itself. On one hand, you're saying they hold your hand too much. On the other hand, you wish they hold your handore and make you not use options. You can't have it both ways. Who cares if you can't 'prove' how you beat the game? When was that ever a factor? If you're that concerned about people not believing you, just record yourself playing. @Kalmaro So I guess in Zelda instead of making a "Master mode" they should have just said "just kill everything with stick, blindfolded." "No Gold Lynel for you! You want a tougher lynel? Then don't bring any food with you." That's dumb and you're missing the point. @Truxton_4_Life No, you're missing the point. You're trying to compare two different things. If you want an example from zelda, it would be more like fighting without eating food first. The game doesn't require you to cook, it's optional. Same for getting better gear, that's completely optional. You don't need that stuff. What you sound like you would have wanted is them to make Mastermode but take away armor, the most powerful weapons and skills. Thing is though, they don't have to, you can do that already. Think about what you've been saying "Megaman is easy, after I used all of my help items"
Well who told you to use them? It's not a requirement, the game doesn't tell you to buy them. The game doesn't even make you go to the lab. You have to go out of your way to go there. So you'll have to understand that I don't believe the game is too easy in its base form. You just made it so. @Blizzia Okaaaay... but who phrases it that way if they aren't accusing someone of complaining to begin with? No gears, and more action/combat oriented levels. Like Block Man's level. @KingBowser86 Oh? Didn't like the gears? @Razieluigi Everyone who uses that figure of speech? It's not an accusation. It'd be the same as me looking at some dude exiting a limo and saying "That guy has absolutely nothing to complain about, huh". Just as this is "holy crap they had 40 people for a job that most companies have 5 for? They've got nothing to complain about there." A statement. Not an accusation. @Kalmaro Very much a DmC Angel/Demon weapon situation. Could've been a great boost for new players and something to alleviate pain points in replays, but it was not added to the formula with "being optional" in mind. @Truxton_4_Life This debate is really one what the game is designed around. You are saying the game is designed around using every advantage possible to win. What makes you say that? Does the game force you to use items to play it? Do you HAVE to use the gear system in order to beat the game? If you answer no to any of these, then the game is NOT built around it, they are just there to help in case you are struggling. Therefore, if you used those options when you didn't have to, that's on you. Saying stuff like "Well you could make the game harder by playing blindfolded" doesn't work here. Unless the game actually mentions that you don't have to see anything to play it, it's assumed you need to see what's going on. Dr Light even tells you that the items there are to help. Not to make the game playable. @KingBowser86 I liked using it to fool around but I always would end up not using it in the end. It actually makes me get hit more because I get sloppy. The way I see it, it's just for people who struggle and for flair. If you didn't like it that's cool. I like how it isn't actually forced on you so you can just ignore it. Did you still use it? I remember when game development teams consisted of 2 people: The graphic designer and the sound designer. @Blizzia it's true, megaman games are hardly even 2 hours long unless they are the RPGs. And yeah, you are right about Indies. I'd add engines and modders too. I even used rpg maker 2003 and vx Ace for a couple games. I feel demos are a nice idea too, no need for 10 hours if it gets stale. @Kalmaro Where one absolutely had to. Torch Man's stage "firewall" on a blind run comes to mind. Actually, that's where I paused the game, put the controller down, found the whole experience pyrrhic and pointless, and refunded it. I really wish I could have enjoyed the game without them. "But you don't have to use them." Again, the levels weren't really designed that way, and it doesn't matter because it's there - now it's a feature that feels like it cheapens the entire thrill of the action and challenge just by existing. @KingBowser86 I'm not sure I follow. There's nowhere in the game that makes you use the gear system. I'm not sure I understand how the option existing worsens the experience. I never used it on torch man's stage. I think you may have just panicked. Really, I've yet to find a point in the game where you have to use the gears. The first time I used it I thought they were cool and made things easier, but I noticed I played better without them. Then I Chakraborty myself not to use them unless the game forced me too. I'm working on torch man's stage now, just got done beating the other bosses and nope... Still haven't been forced to use gears or anything. Not even power ups, extra lives, boss weapons, etc. In any case, I think you just gave up too soon or the game may just be a bit too hard for you, which is cool. I've been hearing other folks talking about how easy the game was, then they admit that they had to buy infinite lives basically and a massive amount of energy tanks just to beat it. I know for myself, it took my 3 days just to beat bounce man with no items or anything on superhero mode. You take so much damage, lol. @Kalmaro Really? What is this, 4chan? "It was too difficult for you?" That's quite the assumption, Mr. "Pay attention to me, I post in every article." Normal was pretty par for Mega Man's course as far as difficulty (same amount of lives as 9 and surprisingly more than 10), but the stages were tedious trash. At SOME POINT, you people have got to realize that not everything that your corporate overlords, be they Nintendo, Capcom, Microsoft, Apple, whatever, put out is perfect and has flaws. @KingBowser86 You admitted yourself it was too difficult when you said you used the gear system when you had to. Why are you acting like that was an insult? I think you just were expecting too much from yourself. You even pointed out that you had to use the gears on a blind run. I don't think anyone expects to breeze through a megaman game blind. I'm not sure what my posting in every article has to do with anything. I've actually been sick for almost a week now and stuck in bed. Can't do much at the moment. Hard to sleep too, which is why you see me posting at like, 4 in the morning. But I digress. I didn't say it was hard for you to be mean, I was just reading between the lines. It seemed like you found some parts of the game difficult (especially going in blind) and were forced to use the gear system, which you didn't even like. Thus, it seems to me that you were struggling, AKA, game is too hard. I'm not your enemy here lol. The game has flaws and I've pointed them out before, just not in this article (like his stiffness as he runs and his voice kinda bugs me... And power gear is basically useless). @Kalmaro tl;dr Not reading anything if you're gonna jump to stupid conclusions as you did in the post prior. Had enough of that elsewhere. Another game and topic, perhaps. @KingBowser86 Well you're not going to know if I jumped to a conclusion if you don't read so that's kinda on you. The level is so hard that you had to use a mechanic to make a level easier? To me they're the same thing. It just seems the game was more difficult than you expected and you got frustrated. @Zuljaras I've played more than 30 megaman games. The RPG ones are a lot longer, like "megaman legends", "megaman battle network", and "megaman x command missions". I made a video on my youtube channel saying how I got into the franchise if you want to know a bit more about the franchise.